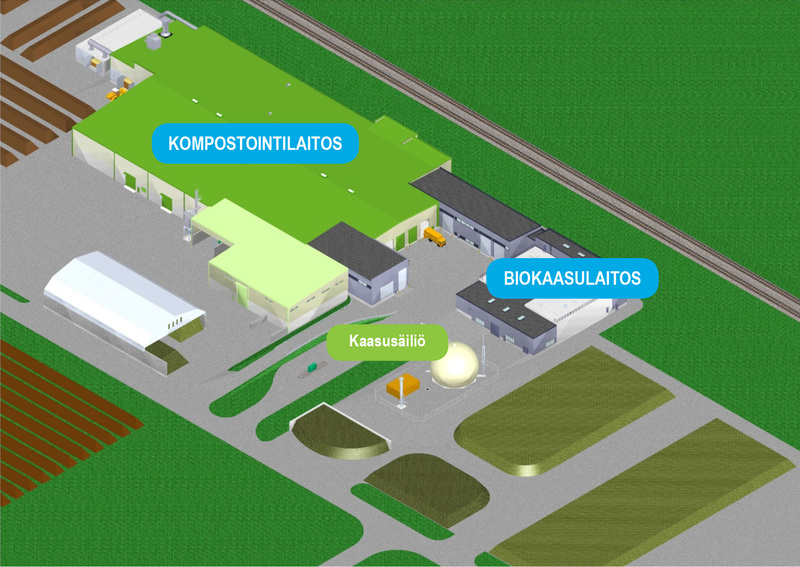 The new biogas production and refining plan that was opened in autumn 2014 has the largest production capacity in Finland in terms of biogas for motor vehicles. 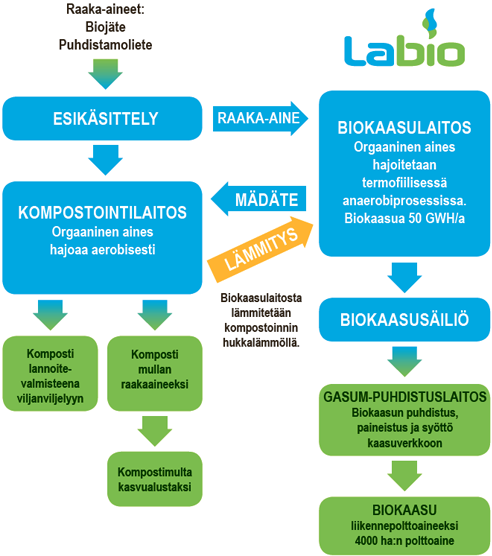 The combination of production plants combines LABIO´s biogas and composting processes, with the energy contained in the waste being taken advantage of better than ever. Composting and the recovery of biogas are ideal ways of reducing carbon dioxide emissions and the carbon footprint.